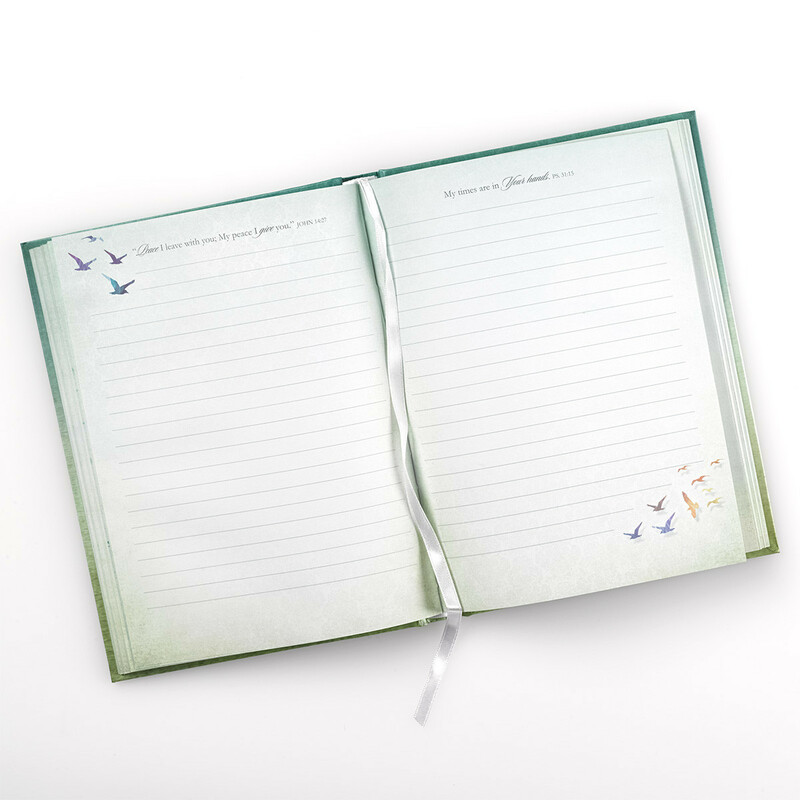 A remarkably designed cover, this eye-catching journal is exquisitely made and will help you keep track of your life. Pictures can't do justice to the design style of this breathtaking inspirational writing journal. 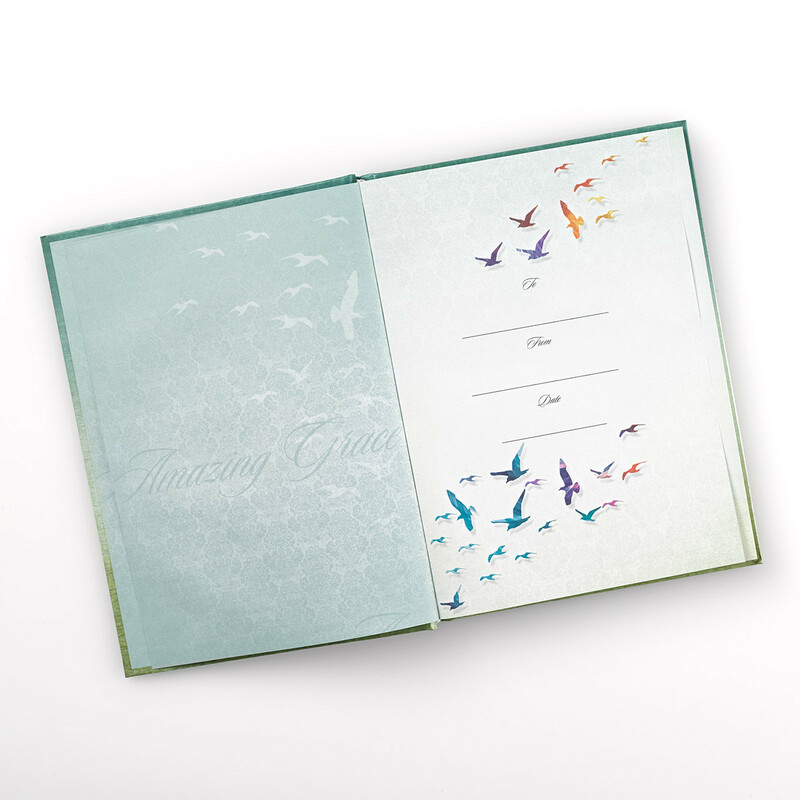 The hardcover is clad in a pearlescent paper with a background filigree design with gorgeous color gradations that only nature can inspire. Impressed and spot varnished birds in flight are elements that give exquisite dimension to the cover. 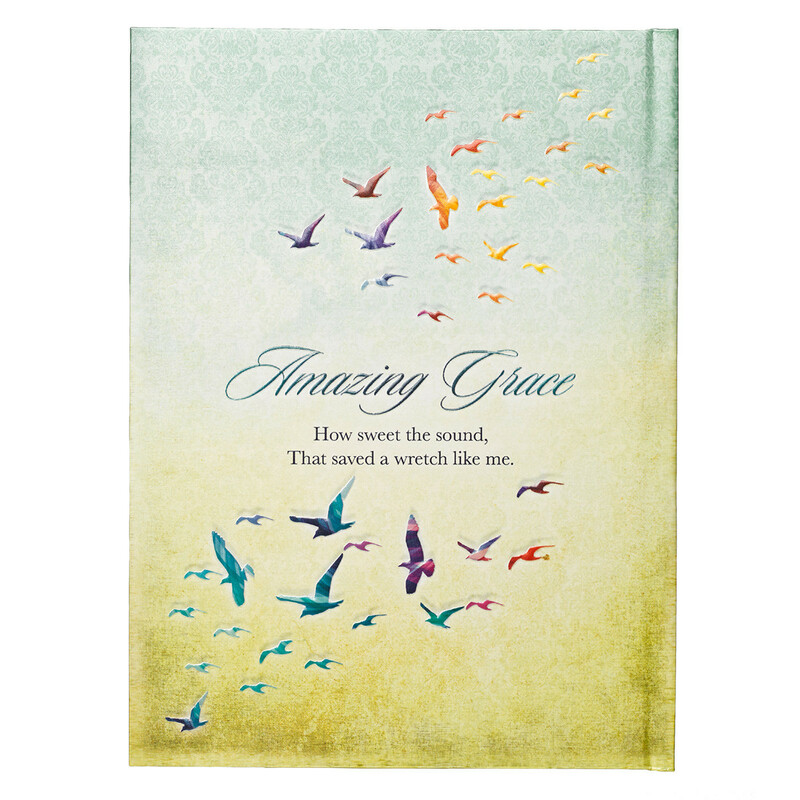 Amazing Grace Journal by Christian Art Gift was published by Christian Art Gifts in September 2016 and is our 1734th best seller. The ISBN for Amazing Grace Journal is 9781432115685. 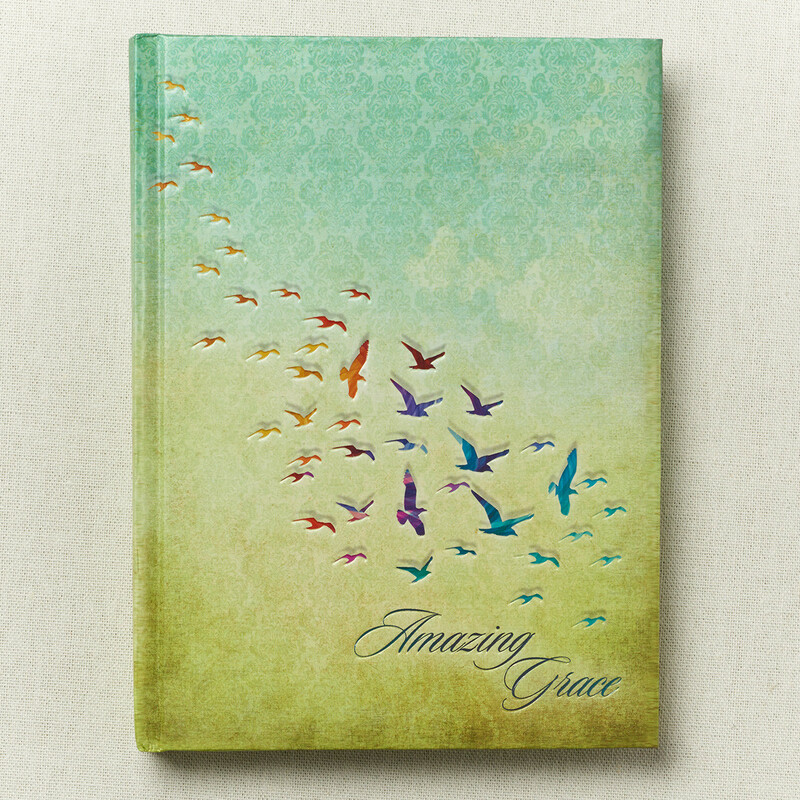 Be the first to review Amazing Grace Journal! Got a question? No problem! 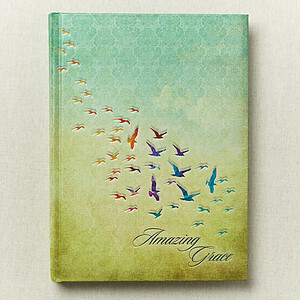 Just click here to ask us about Amazing Grace Journal.